A 29-year-old woman who, along with her vehicle, plunged from a Capital Beltway ramp Tuesday, said she is very lucky to be alive. Authorities said Deanna Reed had just taken her 20-month-old child to daycare and was on a ramp to Interstate 95 from the Outer Loop when she said another vehicle struck her. "He moved from behind me, to the right, and tried to get back over to get in my lane but he hit the car," Reed told News4. Reed and her 1997 Honda crashed over a guardrail, falling 30 feet near the edge of a creek. 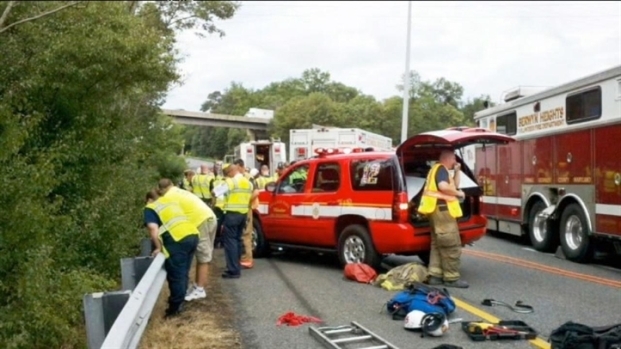 A woman plunged 30 feet off the Beltway and survived, with minor injuries. 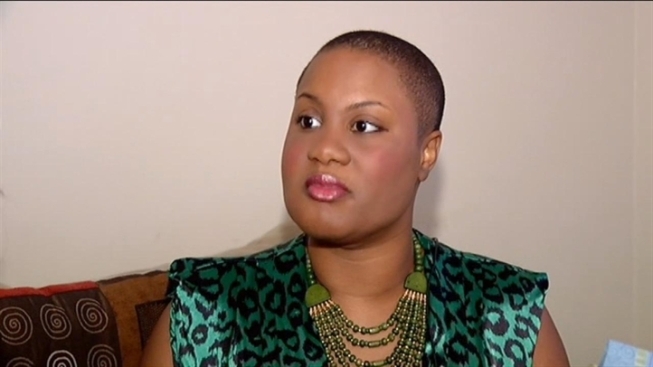 Prince George's County Bureau Chief Tracee Wilkins has the story from one of the men who helped pull her to safety. "What made it so strange was the whole time I was running into trees and seeing them, I didn't feel anything," Reed said. "So when I plunged down, I didn't feel anything." She was wearing a seatbelt and used all of her strength to pull herself from the car, in fear the car would roll into the creek. Firefighters, medics and the Technical Rescue Team used a stokes basket, ropes and pulleys to pull Reed to safety within about 45 minutes. She was then transported to MedStar Washington Hospital Center with minor injuries. James said that it was amazing Reed survived the violent crash. "When they eventually pulled it out of the embankment, I couldn't tell what kind of vehicle it was," he said. Police said no one has come forward regarding the accident.